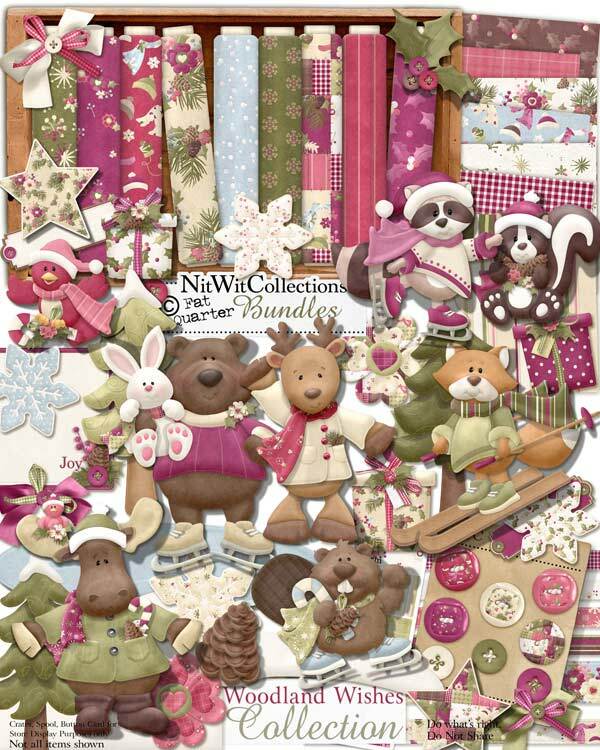 "Woodland Wishes" Collection is a celebration of Christmas for our outdoor friends! A great kit that includes everything you need to make a Woodlands Christmas just right. P.S. Watch out for the skunk and the raccoon for their tricks extend even into the Christmas Season!! 2 Holly pieces - LG picked these and look how they fell apart! 4 Trees - what would Christmas in the woods be without them?